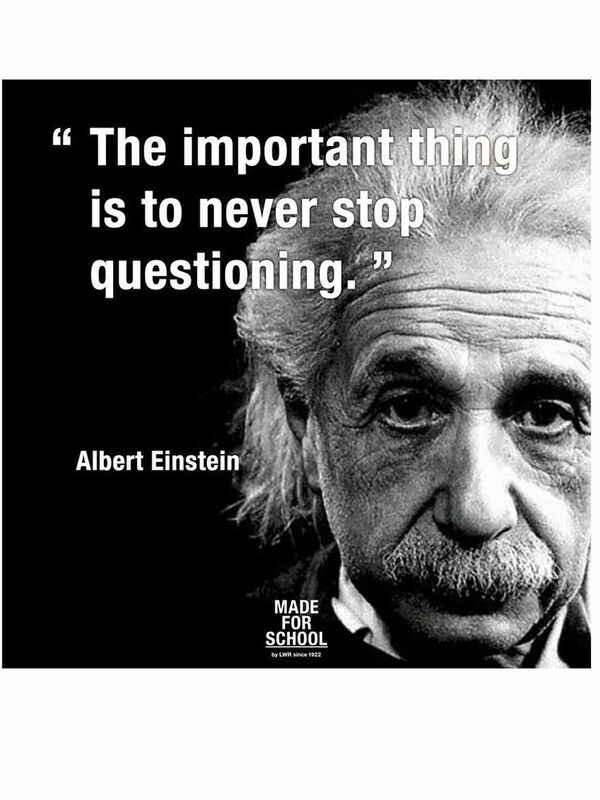 The important thing is to never stop questioning, said Dr. Einstein. 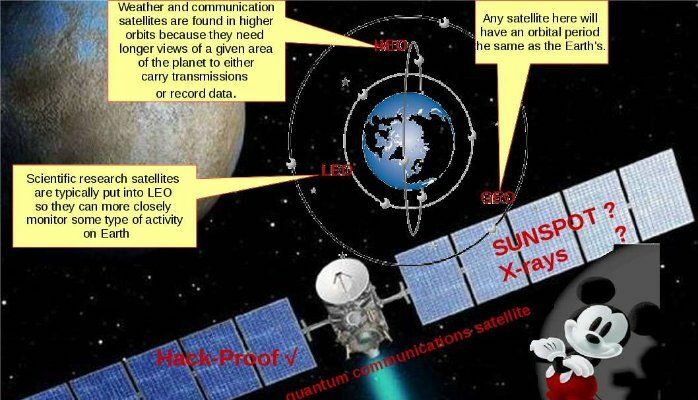 View the breaking news today.China has launched the world’s first quantum communications satellite into orbit. Watch TV News program noticed that a group of scientist find a way apply the quantum physics to traditional cryptography replacing RSA cryptosystem. 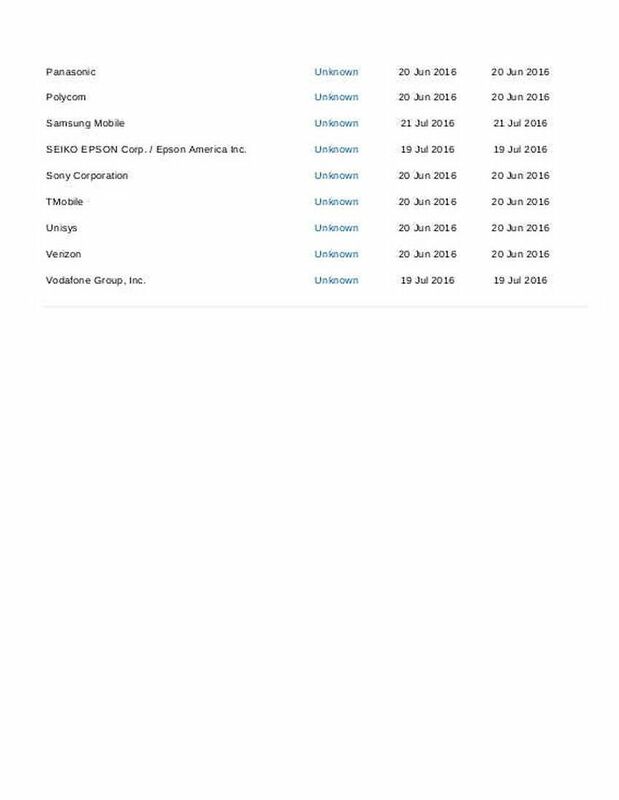 The testing go to final stage in 2015. Competitions everywhere today including employees, business partners, countries. Life is not easy! World looks demanding now! 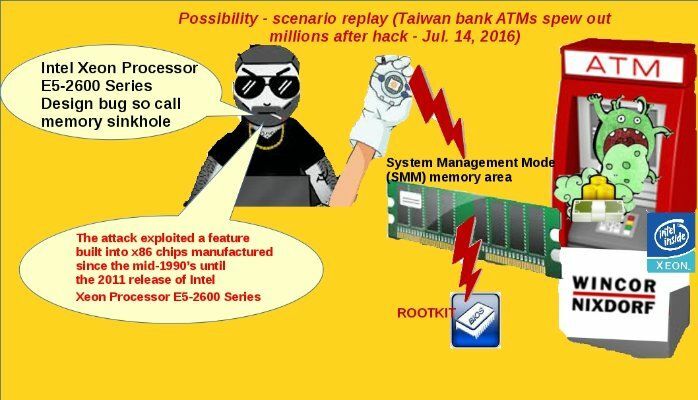 Let’s review in short form in regards to RSA cryptosystem weakness. The RSA cryptosystem can be very weak if you do not choose your primes carefully. If the two corresponding ciphertexts are intercepted. If you send the same message to more people with the same RSA encryption exponent e , then the plaintext can always be obtained easily from the intercepted ciphertexts. Quantum entanglement – particles can share the same quantum state irrespective of their spatial distance from each other. The entanglement state discard when parameters change. Quantum cryptography would be used in practice to produce one time pads that could be used to securely encrypt any message. In what Layer of the Earth’s Atmosphere install this satellite? Is there any external interfere to this layer? For instance, SUNSPOT & X-rays? Does it compatible with mobile phone? Yes, it is compatible with 4G mobile network and provides hack proof communication channel. I believed that it achieves independence from the use of fixed line or existing mobile networks through super fast Ka-band satellite backhaul. The objective is that avoid eavesdropping on mobile phone. For instance, NSA tapped Angela Merkel’s mobile phone. The scandal expose to public in 2014. The space of technology development is to infinite. But like Dr Einstein said, the important thing is to never stop questioning. People might questions leonardo Da Vinci if he still alive. Why did he choose this woman became mona lisa? Since nobody could explain on behalf of him. But strongly believe that this is the original design. 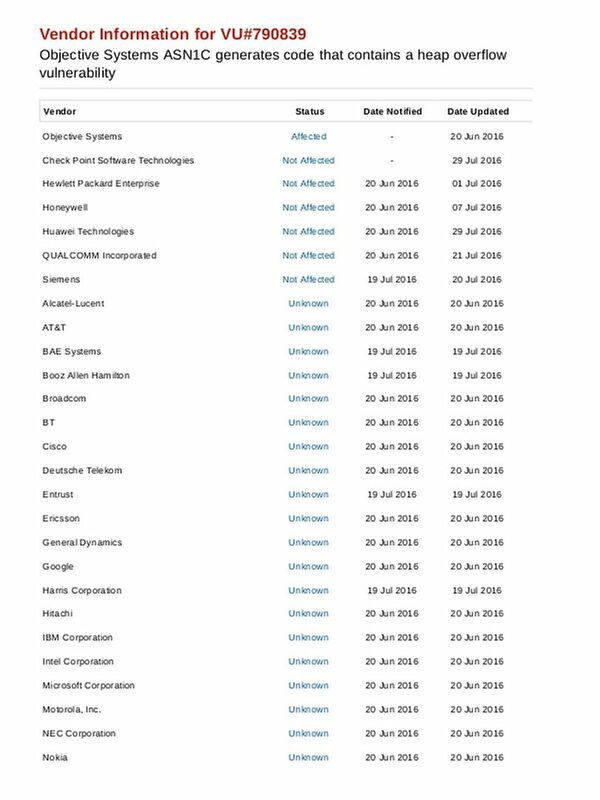 Linux are everywhere today, in workstation, servers, mobile devices and IoT devices. On the other hand, the culture of modern world relies on electronic communications system. 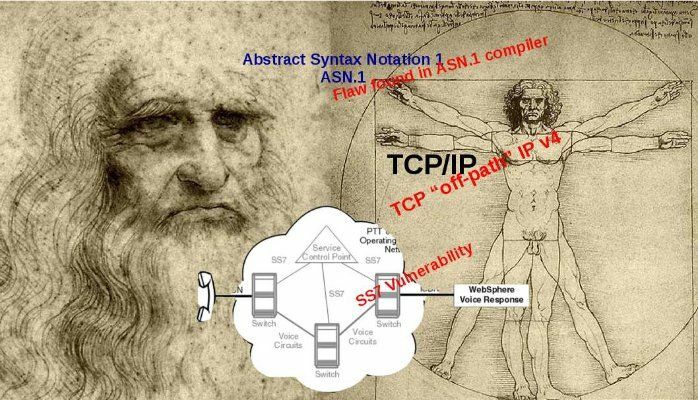 Therefore network communication protocol especially TCP/IP protocol and Signaling System 7 are the major elements in nowadays world. i. SS7 controls telephone calls, both wired and wireless, through the use of a control signal that is separate from the actual voice circuit. ii. It allows phone networks to exchange the information needed for passing calls and text messages between each other. i. A set of general design guidelines and implementations of specific networking protocols to enable computers to communicate over networks. ii. TCP/IP provides end-to-end connectivity specifying how data should be formatted, addressed, transmitted, routed and received at the destination. The difficult part for hacker taking over TCP connection is to guess the source port of the client and the current sequence number. A group of researchers found that open a connection to the server and send with the source of the attacker as much “RST” handshake packets with the wrong sequence mixed with a few spoofed packets. By counting how much “challenge ACK” handshake packet get returned to the attacker side. Attacker might knowing the rate limit one can infer how much of the spoofed packets resulted in a challenge ACK to the spoofed client and thus how many of the guesses where correct. This way can quickly narrow down which values of port and sequence are correct. Current status: The extent of the vulnerability has yet to be determined, IT folks this vulnerability looks critical. It is hard to imagine what’s the impact at this moment. We keep our eyes open see whether a remediation will be announced by the telecommunication providers? Mobile phone network services provider has employed security experts to perform analysis of the SS7 systems in use to try and prevent unauthorised access. How to protect your IT premises in regards to above flaws? For weakness of TCP/IP protocol, the IP version 6 able to resolve design limitation of sequence number. In the long run, it is recommend IT team get rid of IP version 4. However the truth is that v4 and v6 are mixed mode in nowadays IT world. The most headache topics are the ANS.1 complier flaw and Signalling system 7 vulnerability. For SS7 vulnerability, since those item of works (remediation and mitigation) are relies on Telecommunication service providers. Mobile phone network services provider employing security experts to perform analysis of the SS7 systems in use to try and prevent unauthorised access. For text messages, avoiding using SMS. As far as we know, whatsapp communication is being encrypted today! How’s the status of ASN.1 compiler right now? German newspaper (Süddeutsche Zeitung) reported that that hackers relied on SS7 attacks flaw as a backdoor. The vulnerability allow bypass two-factor authentication (2FA) systems to conduct unauthorized wire transfers. Are there any security weaknesses to 4G mobile network? Or it is trustworthy? It divide the frequency band available into little segments and let each person send and receive on a slightly different frequency. Phone calls were transmitted by sampling the sound of people’s voices and turning each little segment into a numeric code. As well as sharing phone calls between different frequency bands. The design concept is that giving each phone user a short “time share” of the band. The mobile telephony system splits up every calls into digital chunks and sends each chunk at a slightly different time down the same frequency channel. 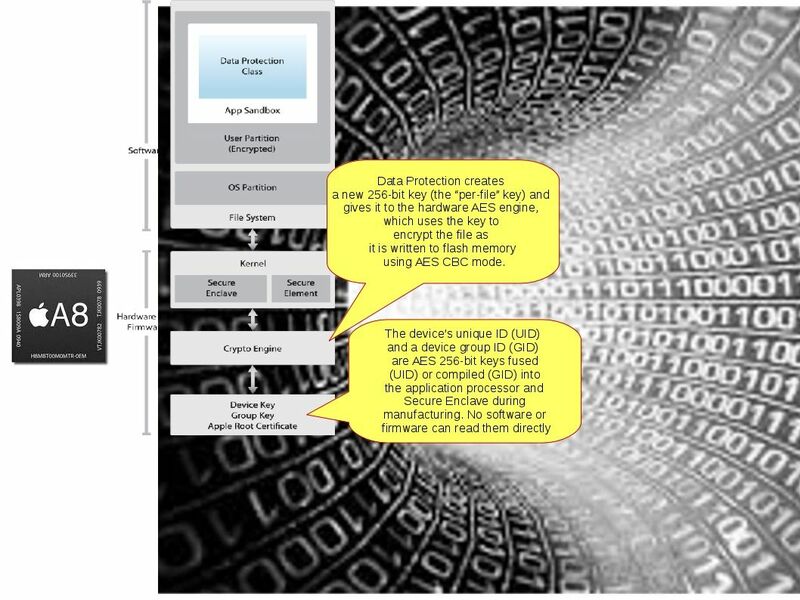 The fundamental design of idea for code division multiple access are sharing the features of both TDMA and FDMA. So a number of different callers can use the same radio frequencies at the same time. The 3G networks are a combination of IP and mobile signalling protocols (SS7). 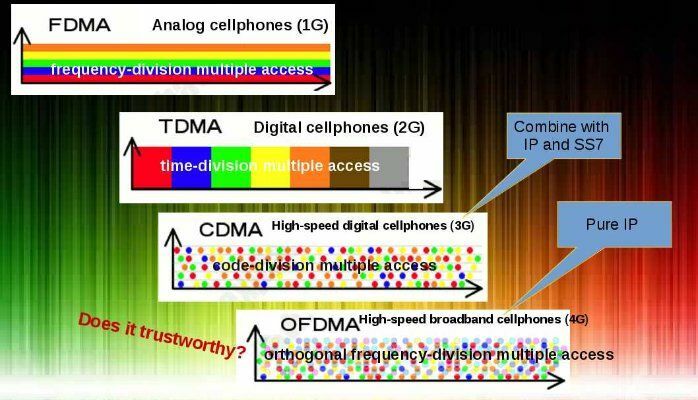 A evolution of the three earlier generation of technologies (TDMA, FDMA, and CDMA). With OFDMA technology, signals are digitally coded, chopped into bits, and sent on separate sub-channels at different frequencies. Since signal has been coded and therefore they are not interfere with each other on the same frequency. But the 4G mobile networks are all IP based network. The 4G LTE networks typically include a number of security features that make communications secure. 4G mobile network – Is it trustworthy? As we know hacker can hack WhatsApp and Telegram by fooling the network causes by Signalling system 7. SS7 is vulnerable since 2008. Mobile phone network services provider has employed security experts to perform analysis of the SS7 systems in use to try and prevent unauthorised access. In the long run, SS7 might going to obsolete in future because of modern technology fast growing trend. The 3G networks are a combination of IP and mobile signalling protocols (SS7). From cellphones users assurance view point, it is better to migrate their services to 4G mobile network instead of 3G. Just how secure is 4G? With 4G technology, encryption is only mandatory over the main Radio Access Network (RAN). The traditional crypto and side-channel attacks, 4G security features are able to addressed. The out of band management on 4G network has security considerations. Since the ‘backhaul’ portion of the network is unencrypted by default. For those company integrate their IT infrastructure to 4G network, they must setup a site to site VPN tunnel (IPsec) connect to other side end point. The primary weakness in 4G security is that its use of cryptography does not provide end-to-end security. It only encrypts the traffic between the phone and the base station, but there is no encryption while the data is communicated over the wired network. This means that there is no security against a malicious or compromised carrier. The 4G cellphones that have been infected with malware and are under the control of hackers could also become part of a ‘botnet’, and be used to conduct more advanced attacks, due to the increased bandwidth of 4G. The average download speed for 4G LTE is about 20Mbps. It is faster than traditional 3G network speed 6 times. The Multicast Video delivery scheme in OFDMA-based 4G wireless networks, to optimize multicast video traffic. On the other hand multicast video delivery, which is vulnerable to malicious video flooding attacks. The cyber attack has been changed. From traditional non mobile type network migrate to mobile computing network. The high network speed boost up DDOS power unintentionally. 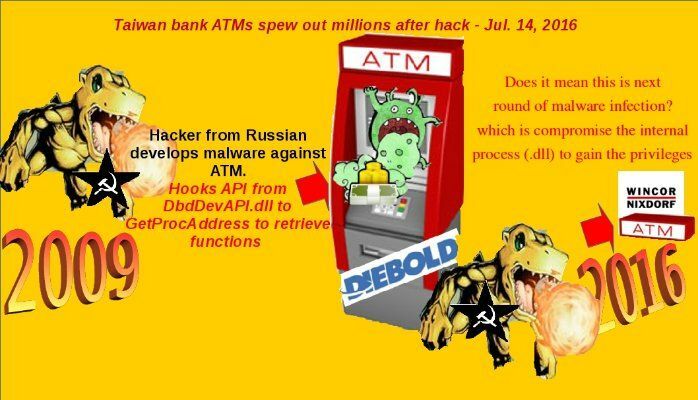 This is the major factor cause distributed denial-of-service (DDoS) attacks rapidly increase. 4G mobile network lure hackers engage cyber attack. It is a jump board. A critical flaw was discovered in the ASN.1 compiler used by leading telecommunications and networking vendors. ASN.1 is an essential ingredient for achieving the lightning-fast mobile broadband networks of the 21st century. Protocols such as 4G: LTE RRC, LTE S1/X2 and IEEE 802.16m WiMAX are defined using ASN.1. Since the extent of the vulnerability of ASN.1 has yet to be determined. And such a way let the 4G mobile network inherent risk increases. The 4G mobile network looks not secure compared to other mobile network. The scandal of NSA hacking tools and surveillance program. Who’s the hero protect world wide privacy? The the largest market research firm (MarketsandMarkets) forecasts the global BYOD market to grow from $71.93 billion in 2013 to $266.17 billion in 2019. You might have question? How to protect your personal data privacy? Even though law enforcement especially NSA couldn’t cracked under normal circumstance? A cryptographic algorithm, or cipher, is a mathematical function used in the encryption and decryption process. A cryptographic algorithm works in combination with a key—a word, number, or phrase—to encrypt the plaintext. The same plaintext encrypts to different ciphertext with different keys. As times go by, the encryption algorithm becomes more complex. Many encryption algorithm (3DES, AES, AES 256) appears in the world. If the hacker engage a side-channel attack,he must through brute force or by exploiting a weakness in the underlying algorithm. Since the crypto key store on hard drive. The simple idea is that extract the key and certificate in the disk. In order to avoid steal crypto keys and certificates, Apple establish defensive mechanism. Apple secure key store in the chipset. The Apple processor contains an on-board, AES cryptograhic key called the Global ID (GID) that is believed to be shared across all the current ‘iDevices’. This GID key is used to un-wrap the keys that decrypt the corresponding boot firmware code stored in system non-volatile memory . If the encryption key is stored in the operating system itself rather than using a hardware. It’s possible for hacker extract the keys and certificates. 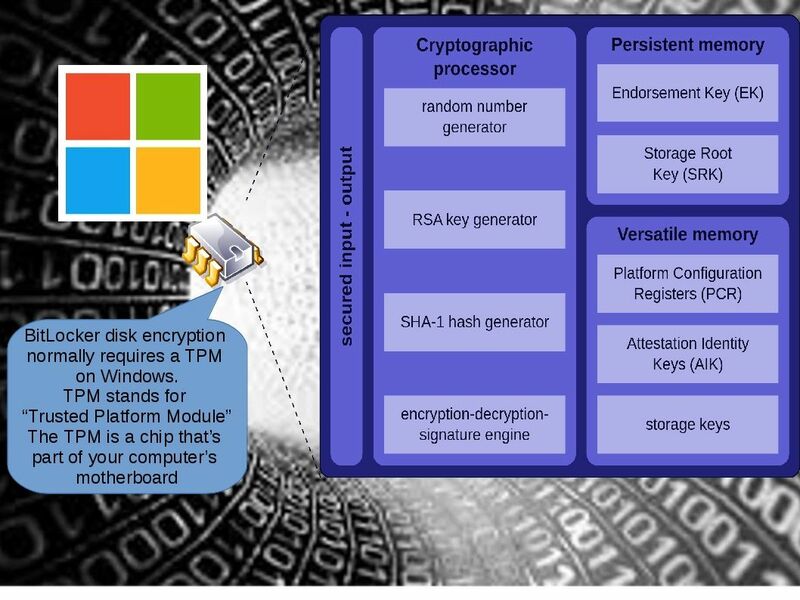 BitLocker disk encryption requires a TPM. TPM stands for “Trusted Platform Module”. It’s a chip on your computer’s motherboard that helps enable tamper-resistant full-disk encryption. 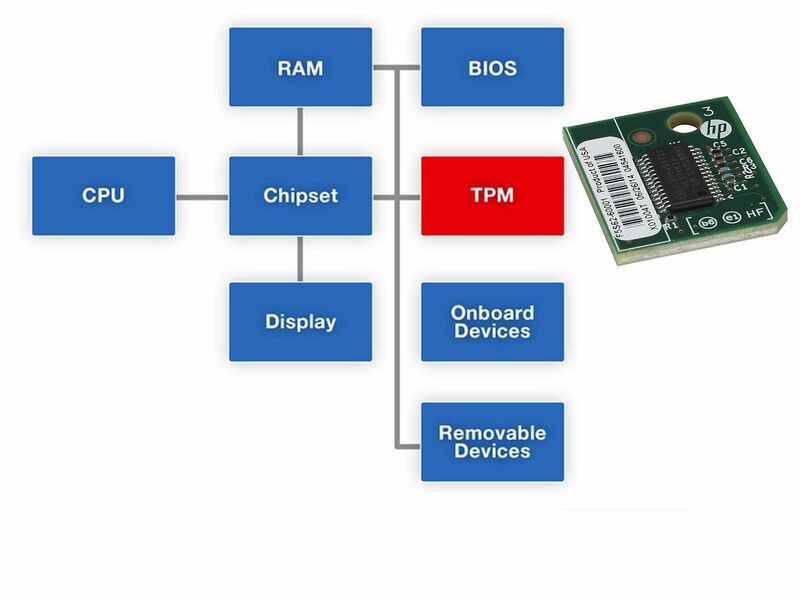 TPM version 1.2 Chip – A very generic description of the TPM is that it performs RSA encryption, decryption, and signing in the hardware. CVE 2016-4657: WebKit in Apple iOS before 9.3.5 allows remote attackers to execute arbitrary code or cause a denial of service (memory corruption) via a crafted web site. CVE 2016-4656: The kernel in Apple iOS before 9.3.5 allows attackers to execute arbitrary code in a privileged context or cause a denial of service (memory corruption) via a crafted app. CVE 2016-4655: The kernel in Apple iOS before 9.3.5 allows attackers to obtain sensitive information from memory via a crafted app. Surprise, it jailbreak the iPhone over the air! Step 1. 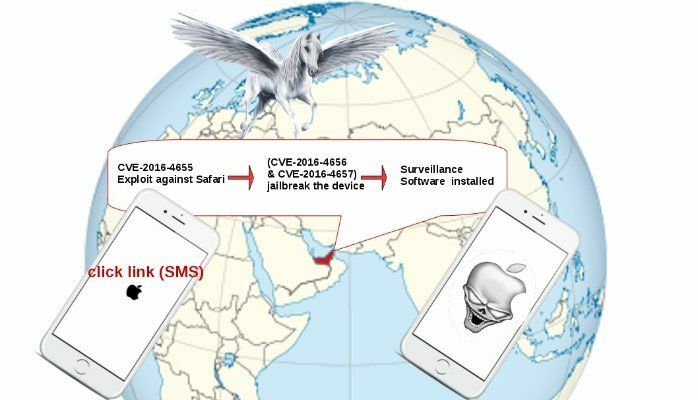 Hacker lure the victim execute a click on SMS, a automatic redirect action engaged and forward iPhone to web site (sms.webadv.co) and download the payload immediately.The objective is going to delivery WebKit applications vulnerability. (KASLR) mapping the kernel into different and unpredictable locations in memory. The attacker has found a way to locate the kernel by using a function call leaks the kernel’s actual memory location to be mapped. For instance, it is possible to leak information about memory layout using format string vulnerabilities. Observation – Why was apple only release the patch can fix this design bug? Predict that Apple added their own privilege checks in the kernel; only processes which pass these checks are allowed to use JIT. Is that mean the national security agency can export the data from iphone? There is no need to request escrow key from Apple? Since above flaws let mobile phone compromised. Hacker can remote control the phone for recording voice call, take photo shot send to their end. The personal data inside iphone is available to export. From technical point of view, there is no need to request escrow key! See how important of the overall design? Although the crypto mechanism integrate to hardware mitigate the risk, however a flaw such a way crack down the Apple protection wall!